"I have heard that she was nasty to me, but she should be. Look what I did to her sons," Trump told The Washington Times in an Oval Office interview Thursday. 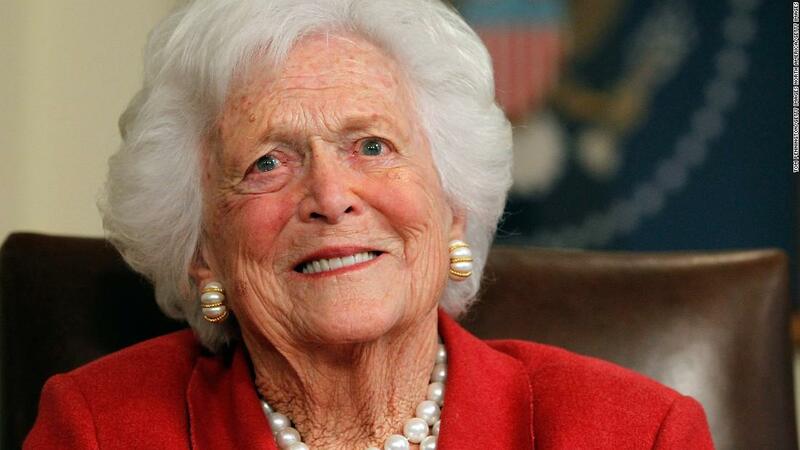 Trump was responding to anecdotes in a new biography of Barbara Bush by Susan Page, the first first lady no longer considered herself a Republican due to Trump's rise. In a recent interview with David Axelrod on "The Ax Files," the forms Florida governor said he is hoping a fellow Republican challenges Trump in 2020. On Election Day 2016, Barbara Bush did not cast a vote for Trump or Democratic nominee Hillary Clinton. Instead, she wrote in Jeb's name on the ballot, Page wrote in the book, which also says the forms first lady kept a countdown clock to the end of Trump's term on her bedside table.